We waited, and waited…and finally, this smart little destination bar devoted to rarefied Japanese craft beer from the folks behind Oosters opened just in time to make the cut. And, boy, are we glad they did. 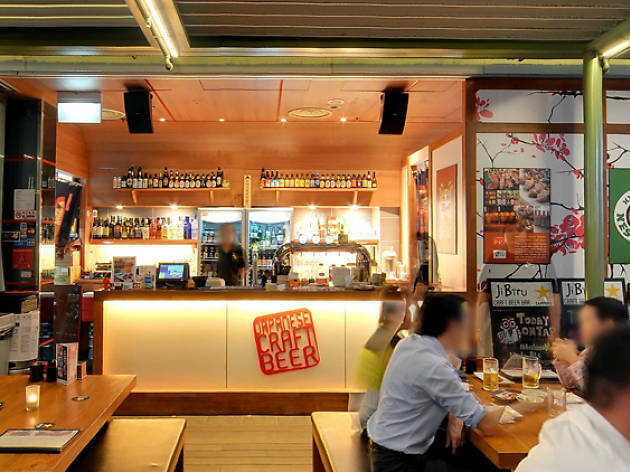 A brilliantly researched menu that is a highly evolved list of hip, lesser-found craft pours from across Japan, with roughly equal billing given to the stronger, experimental bottles and lower-ABV easy-sippers for extended drinking. What’ll we be back for? 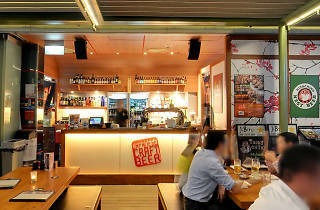 The Kinschachi Nagoya Red Miso Lager ($16.50++) from Land Beer Brewery and the Yona Yona Pale Ale ($12.50++) from the Yo-Ho Brewing Company in Nagano, of course, and – hang on to your seats – the full range of their Hitachino drafts.